NGC 7023. 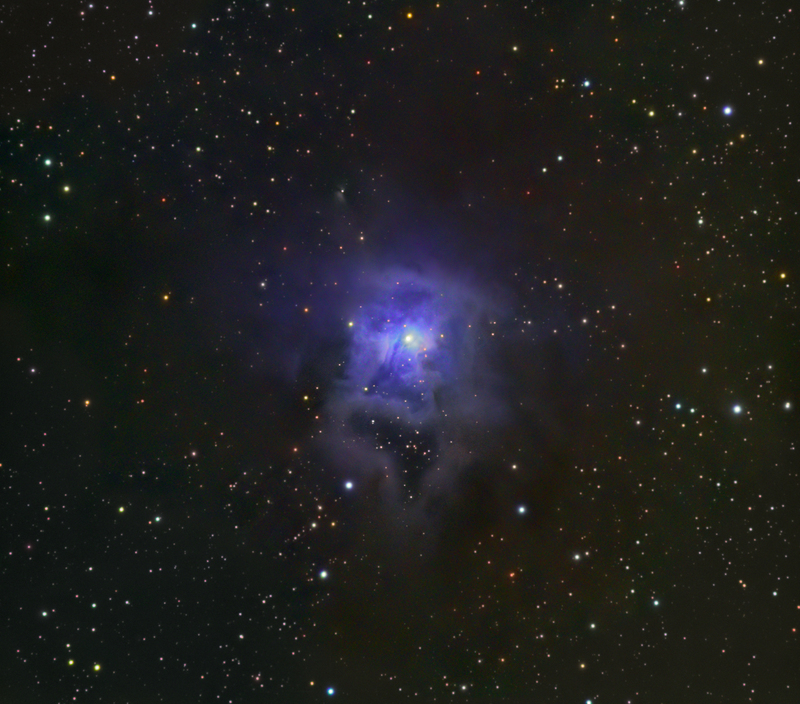 'The Iris nebula'. This lovely reflection nebula lies in the constellation of Cepheus, and is illuminated by the central star, SAO 19158, which is magnitude +6.8. .a flower, not a part of your eyeball! It is between 1300 & 1400 light years away, and the bright part is about 6 light years across. 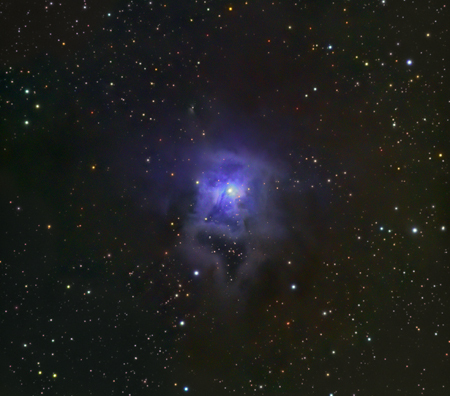 This means that the light we see now left the Iris nebula between 600 and 700AD. Looking at what was happening around the world at that time, Chess was invented in India, use and development of the steel plough and oxen yoke increased food production more than the use of fertilisers in the 20th century, the Tang dynasty was founded in China, Mohammed was busy founding and establishing Islam, Christianity was on the rise in Europe, and world population is estimated to have been between 200-210 million. Blue. 12 x 8 minutes. RGB captured with a William Optics ZS80FD & Atik 16 HR. 16HR data registered to the SXV data using Registar. Total imaging time. 10 hrs 23 minutes. This was an early experiment with the dual scope rig, and there's probably another 5 or 6 hours of data that didn't get used that was gathered with the SXV on the William optics scope.